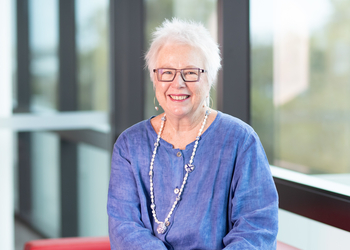 Professor Carolyn Evans commenced her appointment as Vice Chancellor and President of Griffith University in February 2019, leading one of Australia’s fastest-growing and most progressive tertiary institutions, ranked in the top 2% of universities worldwide. Prior to joining Griffith, Professor Evans was Deputy Vice-Chancellor (Graduate and International) and Deputy Provost (2017-2018) at the University of Melbourne, and Dean and Harrison Moore Professor of Law, University of Melbourne Law School (2011-2017). Professor Evans has degrees in Arts and Law from the University of Melbourne and a doctorate from Oxford University, where she studied as a Rhodes Scholar and held a stipendiary lectureship for two years. In 2010, Carolyn was awarded a Fulbright Senior Scholarship to allow her to travel as a Visiting Fellow to American and Emory Universities to examine questions of comparative religious freedom. She has also taught in the human rights summer school at European University Institute. Carolyn is the author of Legal Protection of Religious Freedom in Australia (Federation Press 2012), Religious Freedom under the European Court of Human Rights (OUP 2001) and co-author of Australian Bills of Rights: The Law of the Victorian Charter and the ACT Human Rights Act (LexisNexis 2008). She is co-editor of Religion and International Law (1999, Kluwer); Mixed Blessings: Laws, Religions and Women's Rights in the Asia-Pacific Region (2006 Martinus Nijhoff) and Law and Religion in Historical and Theoretical Perspective (CUP 2008). She is an internationally recognised expert on religious freedom and the relationship between law and religion and has spoken on these topics in the United States, United Kingdom, Russia, China, Greece, Vietnam, India, Hong Kong, Switzerland, Malaysia, Nepal and Australia. Her teaching was in the areas of public law, including Constitutional Law, Administrative Law and human rights. 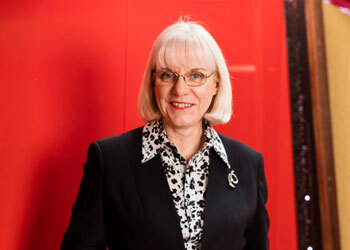 Professor Pankhurst is Senior Deputy Vice Chancellor at Griffith University. Previous to this appointment he was Deputy Vice Chancellor (Research) and Provost Gold Coast and prior to that, Pro Vice Chancellor (Science, Environment, Engineering and Technology), having joined Griffith in September 2006 from James Cook University where he had held the position of Pro Vice Chancellor of Science, Engineering and Information Technology since early 2004. After completing his PhD studies on freshwater eels, Professor Pankhurst spent three years at the University of Alberta (Department of Zoology) in Edmonton, Canada, as a Killam Postdoctoral Fellow, developing his expertise in fish endocrinology. In 1985 he took up a two year Fellowship with New Zealand Fisheries Research Centre in Wellington New Zealand, following which he was appointed to a lectureship (and three years later a senior lectureship) in Marine Biology at the Leigh Marine Laboratory of the University of Auckland, New Zealand. At Leigh, he developed a program of field endocrinology and behaviour of marine fishes, largely based on animals in their natural habitat. In early 1994, he took up a position of Associate Professor in the School of Aquaculture at the University of Tasmania, was awarded a Personal Chair in 1996 and then Head of School from 1998 to 2003. His work in Tasmania centred on using the understanding of fish reproductive physiology to manipulate and optimise reproduction of fish in aquaculture. Planning and policy in relation to research and research training. Research grants, contract research and consultancies. Policies on, and commercialisation of, intellectual property. Development and implementation of the University's Equity strategy for staff. Professor Debra Henly is the Deputy Vice Chancellor (Academic), a role she commenced in June 2016. Professor Henly was the Pro Vice Chancellor of the Sciences Group from June 2012 - June 2016. She previously was the Dean, Academic in Griffith Health, a role she had held since 2009. Debra has also held appointments at Flinders University, the University of Queensland and Bond University where she was Deputy Dean of Health Sciences and Medicine and was heavily involved in establishing their Medical and Physiotherapy programs. She also spent a year as the Pro Vice Chancellor, Teaching and Learning at Bond University. In addition to her research in metabolism and diabetes, Debra was a pioneer of problem-based learning and the use of online assessment. She has won a number of awards for teaching excellence. 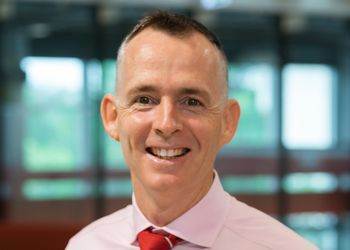 Professor Martin Betts oversees a diverse and growing engagement agenda at Griffith University spanning student, staff, alumni, donor and industry stakeholders. The University is a major partner of the 2018 Commonwealth Games, and between 2014-2016 has trebled its total fundraising income. In September 2016 the new Be Remarkable positioning campaign for the University was unveiled, signalling a fresh approach to student recruitment and stakeholder engagement. 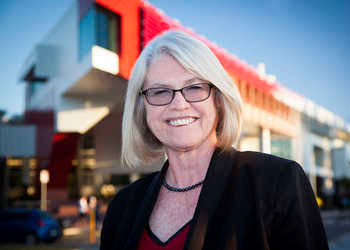 Professor Betts led the creation of interactive Red Zones at the Nathan and Gold Coast campuses which have attracted more than 60,000 visitors. He also chairs the University's Equity Committee and is a Male Champion of Change. Peter Bryant commenced in the Vice President (Corporate Services) role in November 2017 after serving almost four years as the Chief Financial Officer at Griffith University. Prior to 2014 Peter held senior finance and executive roles at Billabong International Limited and Australian Music Group. Planning and directing the University's central administrative services. Advising the Vice Chancellor on policy, strategy and tactics to support and enhance the University's mission. Employment strategies to support a high performance culture and support the University’s strategic commitment to recruit and retain high quality general and professional staff. After an early career in the US at the University of Cincinnati, Professor Paul Mazerolle relocated to Australia in 2000 to take up an appointment at the University of Queensland. He subsequently became Head of the Criminology program at UQ . From 2002-2005, he was Director of Research and Prevention at the Crime and Misconduct Commission in Queensland. Professor Mazerolle joined Griffith in mid-2006 as Professor and Director, Violence Research and Prevention Program. He was later appointed Deputy Director and subsequently Director of the Key Centre for Ethics, Law, Justice and Governance at the University. Professor Mazerolle has a strong scholarly background and publication track record in Criminology, and has been very successful in attracting substantial nationally competitive grants. 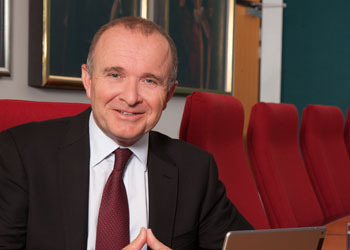 As Pro Vice Chancellor, Professor Mazerolle leads the Arts, Education and Law Group, which includes the School of Education and Professional Studies, School of Humanities, Languages and Social Science, Griffith Law School, School of Criminology and Criminal Justice, Queensland College of Art and Queensland Conservatorium. His role also includes oversight of a number of comprehensive research centres and institutes. In 2014 and 2015 Professor Mazerolle lead and chaired the Griffith Global Integrity Summit, an annual event that brings together world experts to debate and discuss a range of integrity issues associated with many of the most pressing issues facing contemporary society. Executive level leadership and management of the Arts, Education and Law Group. Strategy planning for the Group. Management of the Group budget and student load targets. High level external representation of the University and Group nationally and internationally. Professor David Grant joined Griffith University as Pro Vice Chancellor (Business) in January 2016. David is an internationally distinguished scholar with extensive leadership experience. Previous to his appointment at Griffith he was Senior Deputy Dean at UNSW Australia Business School. Prior to this he held several senior administrative roles at the University of Sydney Business School including Associate Dean (Undergraduate), Associate Dean (Research), Deputy Dean (Academic), Co-Dean, and most recently Acting Dean. He was previously also Head of the Department of Management at King’s College London. David is a pre-eminent scholar in the field of organisational studies. He was elected a Fellow of the Academy of Social Sciences in Australia in 2008, and has held honorary and visiting positions at King’s College London, the University of Auckland Business School, the University of Technology Sydney, University of California Santa Barbara, the University of Melbourne and McGill University. David received his BA (Government) from the University of Essex and MSc (Industrial Relations and Personnel Management) and PhD (Management) from the London School of Economics and Political Science. His current portfolio includes leadership of Griffith University's Business Group and associated research centres and academic departments. 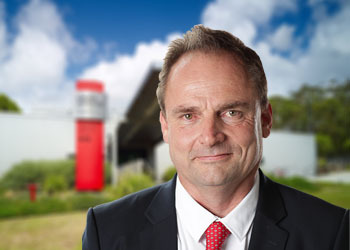 In addition to his position at Griffith, David is the current President of the Australian Business Deans Council. Executive level leadership and management of the Business Group. Professor Sheena Reilly took up the role Pro Vice Chancellor (Health) in August 2016 after serving as the Inaugural Director of the Menzies Health Institute Queensland at Griffith University. Prior to this Professor Reilly held a longstanding position with the Murdoch Children's Research Institute, Melbourne as Associate Director, Clinical and Public Health, and with the Department of Paediatrics at the University of Melbourne, as Professor of Speech Pathology. Professor Reilly obtained her undergraduate degree at the Western Australian Institute of Technology, now Curtin University, and her PhD from the University of London. Her Postdoctoral research was undertaken at Great Ormond Street Children's Hospital and the Institute of Child Health, London. Professor Reilly is an inaugural Fellow of the Australian Academy of Health and Medical Sciences, Fellow of the Australian Academy of Social Sciences, Fellow of the UK Royal College of Speech and Language Therapists and of Speech Pathology Australia. Professor Reilly's research interests focus on one of the most common developmental problems, childhood speech and language impairments. She leads a multidisciplinary team focused on finding out how speech and language develop, what goes wrong and what can be done about it. Professor Reilly has produced a substantial body of original research as evidenced by her strong publication track record and the impact her research has had on policy and practice. 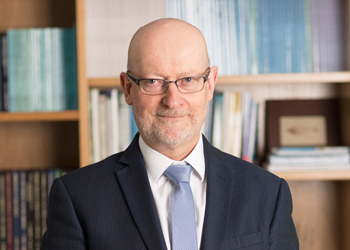 Professor Reilly has received over $40 million in research funding support including support from the National and International funding agencies (NHMRC, ARC, NIH) and has extensive international collaborations. High level external representation of the University and Group locally, nationally and internationally. Professor Andrew Smith took up the role of Pro Vice Chancellor (Science) in November 2016 having served as Dean of Applied Sciences at RMIT University since 2010 and in the recent interim as Deputy Dean Research & Innovation in the School of Science. He also serves on the executive of the Australian Council of Deans of Science. Professor Smith graduated in Biochemistry from the University of Surrey UK, in 1985 and completed his PhD at Southampton University in 1989. He joined the University of Sussex as a research fellow before being appointed to the faculty as a lecturer in 1993 and becoming Professor in 2002. He went on to serve successively at Sussex, as Director of Graduate Studies for Life Sciences, Head of Chemistry, and Head of the first joint Department of Chemistry and Biochemistry, before joining RMIT. Andy’s research career has taken him to California as a NATO Fellow to learn molecular modelling, and to the University of Copenhagen and the BMC Uppsala to learn Structural Biology. Notable achievements in protein biochemistry and biophysics have included the x-ray structure of classical horseradish peroxidase (HRP) published in Nature Structural Biology, and subsequently the structures of HRP in all five oxidation states, published in Nature. The latter included a molecular movie for di oxygen reduction. More recently he elucidated the amino acid centred free radical mechanism of lignin peroxidase published in PNAS, now a paradigm for many of the fungal peroxidases. He has worked extensively with Unilever, Johnson & Johnson and Novozymes and in several large EU consortia, including ‘Biorenew’, where he was project leader for ‘Tailoring Enzyme Activities’. He has enjoyed wide ranging collaborations with a number of leading European research groups and has six patents, including three international filings. In recent years he has become interested in bacterial genomics and reverse genetics as a route for the discovery of new anti-microbial proteins to combat the growing problem of bacterial drug resistance and with others he has discovered a novel bacterial protein cyclisation system in strains of Lactobacillus Plantarum. He remains a keen educator and positively enjoys teaching molecular enzymology and biochemistry, especially the wonders of bioenergetics. Professor Sarah Todd commenced at Griffith in late 2013, having previously been at the University of Otago in New Zealand. As well as leading Griffith's internationalisation activities, Professor Todd is currently President of APAIE (Asia Pacific Association of International Education), an appointed member of the Queensland Government's International Education and Training Advisory Group (IETAG) and a member of both the Universities Australia and Innovative Research Universities (IRU) International Committees, as well as being on the boards of Study Gold Coast and the International Education Association of Australia (IEAA), and the MSquare Media advisory board. She also serves as a member of the Association for Commonwealth Universities (ACU) International Steering Group. Prior to joining Griffith Professor Todd was the inaugural Pro Vice Chancellor (International) at the University of Otago from 2006-2013, and before that held the position of Academic Dean in Otago's Business School, and was Professor of Marketing. While in New Zealand, Professor Todd served on several committees and boards related to international education, including the Stakeholder Advisory Committee for Education NZ, being a member of the Universities NZ International Committee, and serving as a trustee on both the board of Education NZ and Education Dunedin. Additionally, Sarah chaired the New Zealand Women in Leadership Steering Committee. Her research interests lie in the general area of consumer behaviour, particularly lifestyles and values research, children as consumers, and sustainable consumption. BEd , Dip. (Lib&InfoServ) , M.P.Adm. Linda O'Brien was appointed as Pro Vice Chancellor and Head of Logan Campus in September 2017, having previously been Pro Vice Chancellor (Information Services) since October 2008. As Head of Logan Campus, Linda is committed to maintaining Logan campus’ deep, mutually beneficial connections with the broader community to create work-ready graduates, deliver impactful research and foster opportunities for local innovation. As University Librarian, Linda is passionate about the value of information as the foundation for learning, research and innovation. She is engaged in a number of international and national initiatives aimed at leveraging innovative information technologies to make research outputs and data more findable, accessible, interoperable and useable. Linda has published and presented, both nationally and internationally, and contributed to a number of state and national initiatives. 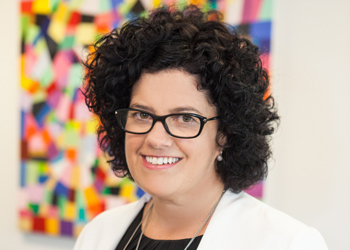 Linda is currently a board member of Open Researcher and Contributor ID (ORCID) and of the Queensland Cyber Infrastructure Foundation, Chair of the Open Data Institute Australia Network, and a member of the Queensland Public Records Review Committee.